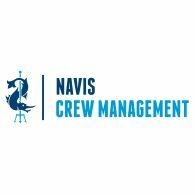 Navis Crew Management is integrated in Odessa National Maritime Academy set up in 1943 and is a member of International Association of Maritime Universities (IAMU), formed by leading higher maritime educational institutions of the world in 2000. Navis Crew Management (NCM) assigns well-qualified and certified officers for all types of vessels within offshore and merchant fleet in compliance with IMO STCW Code 2010, ILO MLC 2006 qualification requirements and according to the standards of ISO9001:2008. We Navis are approved agents of Stanford Marine Group (UAE), Leighton Offshore Sdn Bhd, Bibby Ship Management ( also supplying Jaya, Bourbon MMI vessels etc. ), Vallianz Offshore (Swiber Holdings), West African Ventures (WAV), Seaways intl, Halul Offshore, InterMarine Sharjah, Mubarak Marine.